Catch 'Sonder' At CTNX In Burbank, Nov. 17-19! Are you heading to this year's CTN Animation Expo? So are we! 2. FIRST LOOK: Sonder. On Sunday morning, members of the Sonder production team will present never-before-seen footage from the film, and a glimpse behind the scenes. Learn how we've been using a game engine to drastically reduce production time, and get a step-by-step tour of the unique pipeline we've created, from storyboarding to final render. Catch our presentation in Theater 2B, Sunday November 19th from 9:45am to 10:30am. 3. The Art of Sonder, Revealed. In our second presentation, a few folks from our awesome art department will share their tips and techniques for creating a visually rich CG world, and reveal artwork from (and inspired by) the film. That's Theater 2A, Sunday November 19th from 4pm to 4:45pm. 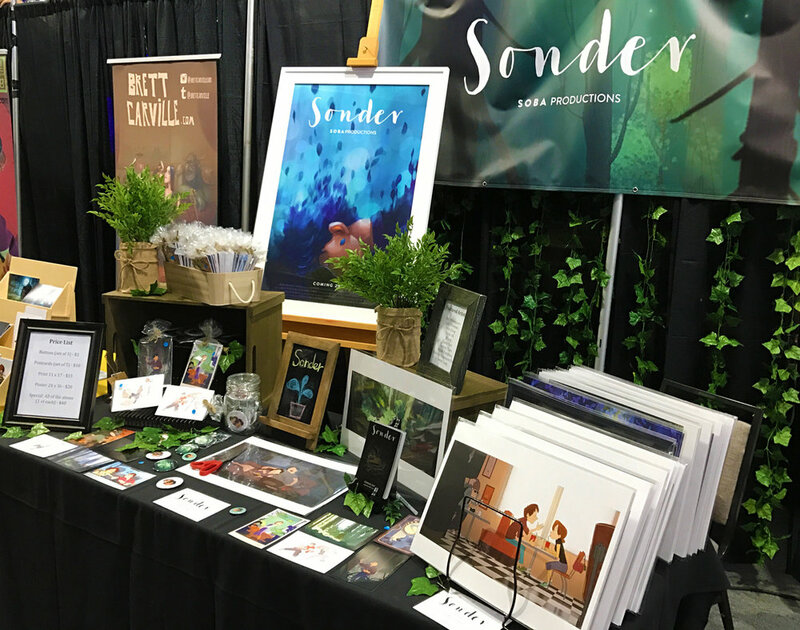 We're always excited to meet other creative folks and share the latest Sonder art and updates with our fans, so if you're at CTNX, come say hello!